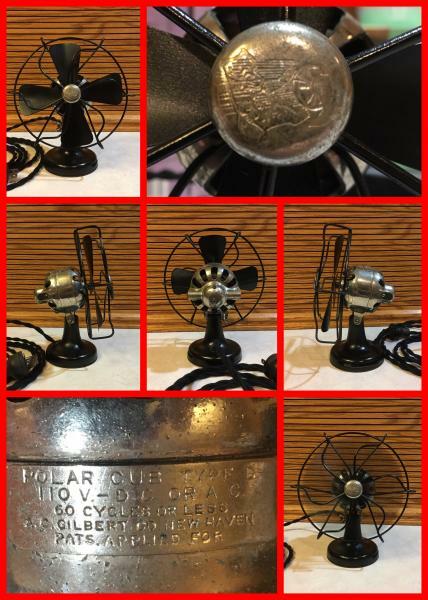 Finished my little 1920 Polar Cub Type D. Two speed ac/dc fan standing all of 8” tall with the blades around 6” across. Runs like a top! Had a couple broken cage joints when I got it but a friend of mine was kind enough to weld those. If you like working in small spaces, this is the one! Great work Dave! Would like to see that puppy one of these days! Bill Arfmann wrote: Great work Dave! Would like to see that puppy one of these days! You bet. PM me when you’re schedule allows. It’s just a rattle can paint job and has a few warts but runs, which is better than I can say for when I got it. Page processed in 0.1717 seconds (28% database + 72% PHP). 29 queries executed.